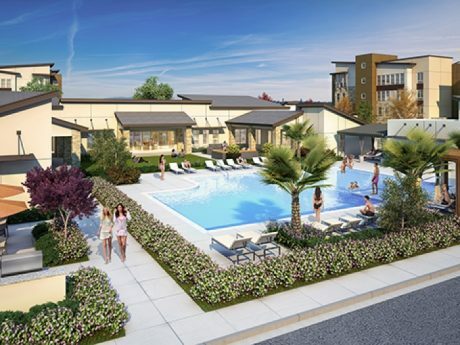 HOUSTON - Aug. 2, 2017 - PRLog -- The Crossings in Sacramento and The Arbors in Chico, Calif., have a new manager as Asset Campus Housing, the leading provider of student housing management in the United States, will oversee operations at the two properties. The Crossings and The Arbors are new developments that are set to welcome their first residents in 2018. Both will serve students taking classes at nearby California State University campuses. Combined, the two properties add 1,402 beds to Asset Campus' student housing portfolio. Amenities at the two properties will include fully equipped computer labs and state-of-the-art fitness centers, as well as fully furnished units available in a variety of floor plans. Asset Campus Housing is a third-party property management firm based in Houston, Texas. It manages a student housing portfolio of over 250 properties and is the largest third-party student housing management company in the nation. With a growing portfolio that includes hundreds of properties across the globe, Asset Campus provides services that include property management, asset management, development, and investment services. Visit http://assetcampushousing.com to learn more.